It’s never too late to find love and make things official. 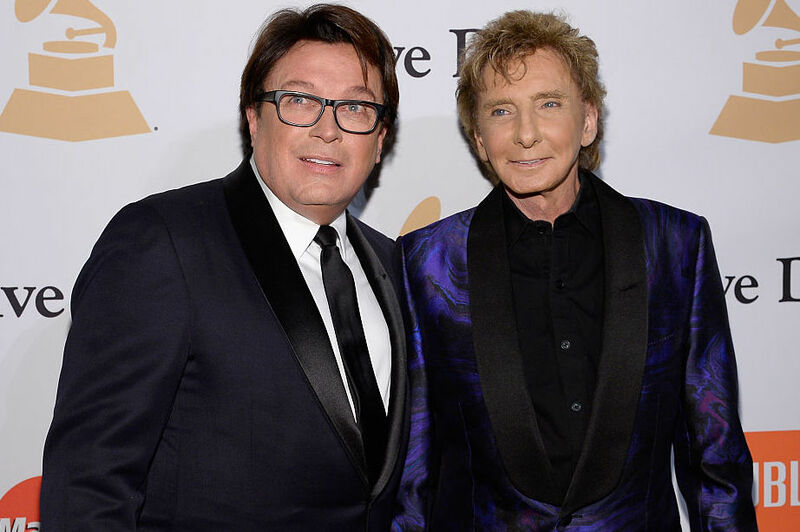 By now, you may have heard the wonderful news: Barry Manilow married his longtime manager Garry Kief at a wedding celebration that took place at his Palm Springs home in 2014. Manilow and Kief pulled a Jennifer Aniston/Justin Theroux on guests, who assumed they were invited to the home for an ordinary party, unaware that the party would suddenly transform into a wedding extravaganza. The famously discreet star may be opposed to living his life like it’s an open book, but that doesn’t mean he hasn’t given fans enough of himself over the years to convince everyone that he has led a colorful life filled with love and interesting experiences. Here are six things you may not know about the happy newlywed. 1. He was married once previously — Manilow married Susan Deixler in 1964 and, although things didn’t work out, he once called her the “perfect wife.” Deixler, in turn, has had nothing but nice things to say about her ex’s relationship with his new husband. The two tied the knot when she was only 19, and he left her two years later to pursue what would ultimately become a hugely successful musical career. It speaks volumes about your character when a woman you hurt years ago hasn’t simply forgiven you but also thinks the world of you and supports your choices. 2. He had a high-profile relationship with another woman for many years — In the ’80s, Manilow dated a TV production assistant named Linda Allen. Since their split, and despite speculation that followed him everywhere throughout the years afterward, Manilow remained a very private person who didn’t divulge details about his dating life. Even after being outed as gay in a biography, he refused to comment about his sexual orientation. Amazingly, few details have been leaked about his relationships, which proves that the people nearest and dearest to Manilow value him enough not to cash in on a cheap story. It’s refreshing to hear about a celeb who doesn’t crave 24/7 attention. 4. He has been nominated for and won countless awards — Manilow’s hot awards streak hit in the ’70s, when he won Grammys two years in a row for “Copacabana” and “I Write the Songs” (the latter went to songwriter Bruce Johnston). Throughout his career, he has been the recipient of too many awards to list. Notably, Manilow was nominated for an Academy Award for Best Original Song in 1978 (“Ready to Take a Chance Again” from Foul Play) and, most recently, a Grammy for Best Traditional Pop Vocal Album in 2016 — that award went to Tony Bennett and Bill Charlap for The Silver Lining. 6. He gives major props to his therapist — Manilow has also been more than giving with press over the years about his time spent in therapy, where he says he learned who he was, what impact he has on others and how to forgive people in his life — most notably, his mother, with whom he admits he had a strained relationship growing up. He once even suggested that everyone interview their own parents and take time to learn about them so that they can view them as flawed humans trying their best, not deities. Manilow may not be standing outside waving a rainbow flag in the pride parade, but he is living life as his authentic self, both by marrying the person he loves and by staying true to himself as a person who craves privacy and security. Sure, Manilow would serve as a fantastic vocal role model in the gay community, but not everyone is comfortable in that role, and that’s OK. Congrats to him and Kief for making their statement of love official. Manilow is a legend and a class act.